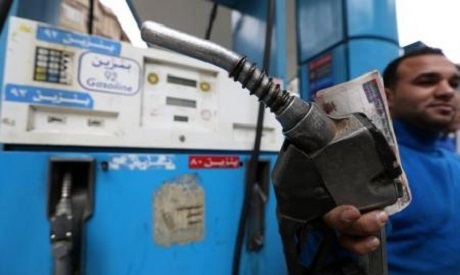 Egyptian finance minister Amr El-Garhy said in a press conference on Wednesday that there is no intention to cut fuel subsidies this fiscal year, which started on 1 July. The minister's statement comes one day after the International Monetary Fund (IMF) released a review of its $12 loan programme to Egypt, which included an appraisal of recent cuts to energy subsidies, a key part of Egypt's 2014 economic reform programme. In its review, the IMF said that energy subsidy reforms remain critical, "but delayed." "The commitment to eliminate subsidies for most fuel products by June 2019 is encouraging, but the plan to pause until 2018/19 before another significant increase carries a risk of slippage related to global oil prices and the exchange rate," the IMF said. According to the IMF, earlier periodic increases would have been preferred; however, it welcomed the Egyptian government's intention to "introduce an automatic fuel price adjustment mechanism and a commitment to adjust fuel prices or take other measures as needed to offset any larger-than-projected costs of fuel production." Fuel subsidy cuts were part of the economic reform package adopted in July 2014 that aimed to ease the country's growing budget deficit, with a five-year plan created to gradually scrap fuel subsidies. In June, the government introduced a new cut in energy subsidies, resulting in increased fuel prices, arguing that economic reform measures can no longer be delayed. The move came nearly seven months after an initial cut to fuel subsidies after the Central Bank of Egypt decided to liberalise the Egyptian pound in November 2016.